Fascinating stuff. It’s a brilliant move but I have mixed feelings about it. 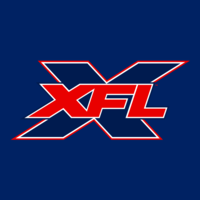 I don’t want the XFL having their ideas become public. Competitors are likely to steal them and call the ideas their own, since The XFL doesn’t play until 2020. You want to be first. The conversions from different parts in the red zone is a long forgotten original XFL idea. Started in the playoffs in 2001. 1 point from the 2, 2 points from the 5, 3 points from the 10 yard line. The kickoffs seem like an Oliver Luck idea. He wants to eliminate touchbacks and bring back one of the most exciting plays in football, the kick return. That could be a number of things. Moving kickoffs back to the 25. Having kick cover guys wait till the ball is caught. They may be trial ballooning some of these to get some fan feedback. So far, I like them. I like the CFL halo rule for punts as well. I love the CFL ref cam which is similar to the handheld bubba cam from The XFL. The ref behind the QBs has an amazing view. I also like when the XFL had 1 forward motion player on offense. It’s jarring at first to American viewers but I think 1 is better than the multiple in the CFL. Widening the field by 1 or 2 yards would be amazing. It would make a big difference especially with 11 players. More space. The issue is retro fitting these nfl fields for that. The running clock should also be on conversions. Except on the final play of the half, game or overtime. They should also abandon switching sides of the field at the end of the 1st and 3rd quarter. No need for this. It slows down the rythym of a game. The XFL can test out so many of these things. Play a game with 12 minute quarters and a running clock. See how long it takes. I think I heard Oliver Luck mention getting the games done in under 3hrs...backing off a bit from earlier 2-2.5hrs. From an XFL instagram video XFL Senior Vice President, Football Operations Doug Whaley said under two minutes the clock will stop for 10 seconds after each play, that way teams with a lead can't run out the clock out. I would rather keep the 15min quarters while using the running clock as cutting 12 minutes from the game clock will cut out too many plays. Keeping the clock running until the final 2min along with a 20-30sec play clock and no (or limited) timeouts will cut overall time down considerably. The XFL has to eliminate kneeling to run clock. Banish it, you have to run plays and attempt to get 1st downs. I agree with you on cutting time considerably. Whaley’s idea is probably designed to insure that there are more scoring chances at the end of halves/games. The clock stoppage is a back door way of trying to eliminate the kneel downs. I think it was/is the Arena Football League that forces teams to gain yards to keep the clock moving with under 1min to play. I get where Doug Whaley is coming from and where they are going with this. If I was coach of The New York Empire and my team led The Los Angeles Archangels by 6 with 2 minutes left and we had the ball. The league’s rule is no kneel downs. So what would I do? Run 3 straight QB sneaks maybe even with my tailback at QB. Just wait 25 seconds to snap the ball and fall forward with my best ball handler. Whaley is trying to prevent coaches from gaming the system.